At A Grape in the Fog, we offer an extensive wine list covering Old and New World boutique (small-production) wine by the glass, bottle or flight (3-1/2 glasses). Also available are craft-style beers, hard cider as well as non-alcoholic drinks. Coming Soon: low-alcohol cocktails! 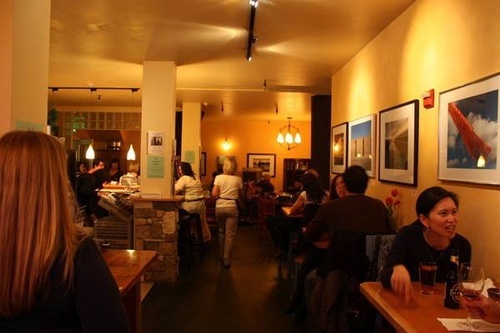 We serve a Tapas-style food menu including items that go well with wine like artisanal cheese, charcuterie, and dessert with more substantial offerings like croque-monsieur, french onion soup, and our signature dish, The Don. 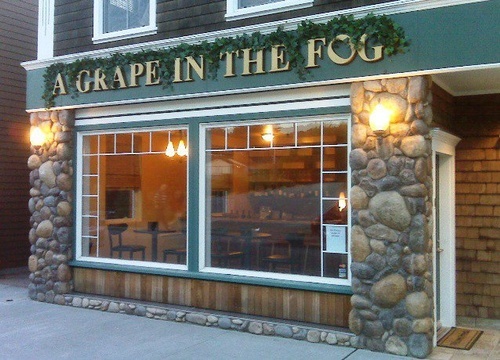 There's always something happening at A Grape in the Fog - we host over 20 events a month including live music, quiz night, art classes, wine tastings and more! Come visit us at the beach - enjoy our outdoor patio. Dogs (on leash) welcome on the patio!